Iran’s Foreign Ministry spokesman condemned a recent spate of terrorist attacks that have killed dozens of civilians across Syria, linking the bombings to the defeats that the Takfiri terrorist groups have suffered in the battlefield. Bahram Qassemi on Monday expressed Iran’s sympathy with the Syrian government and nation for the death of tens of innocent civilians in a string of terrorist attacks in Tartus, Homs, al-Hasakah, and outskirts of Damascus. He slammed the targeting of civilians as sign of the defeat of Takfiri terrorists and their Wahhabi supporters in military confrontation with the Syrian army, saying their failure to achieve their dreams in the region has made them keep committing heinous crimes and creating terrible and distressing scenes in Syria, Iraq and Yemen. 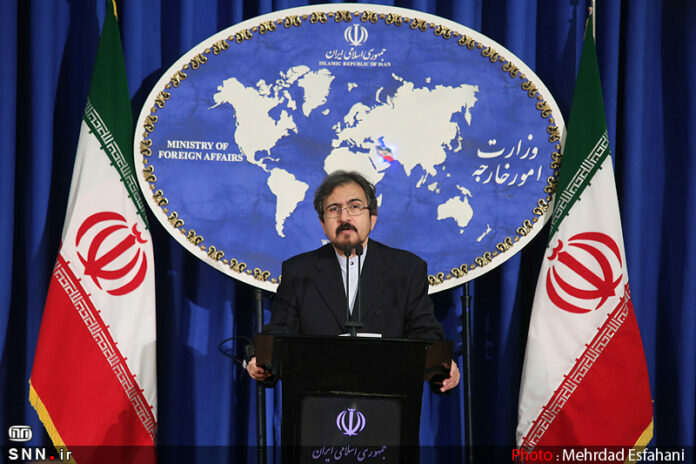 Qassemi also called on the international community not to remain indifferent about the organizers, supporters and perpetrators of such abhorrent crimes and fulfill the duty to stem Takfiri terrorism with serious resolve. The Death toll from the string of bomb attacks across mostly government-controlled areas of Syria rised to at least 48 people on Monday, with dozens also wounded in the double bombing outside of Tartus city. There were no immediate claims of responsibility for the blasts, but the Daesh (ISIL) terror group has regularly targeted several of the areas hit on Monday. According to the UN, over 400,000 people have been killed in Syria since its conflict erupted in March 2011, which has also displaced over half of the Arab country’s pre-war population of about 23 million.